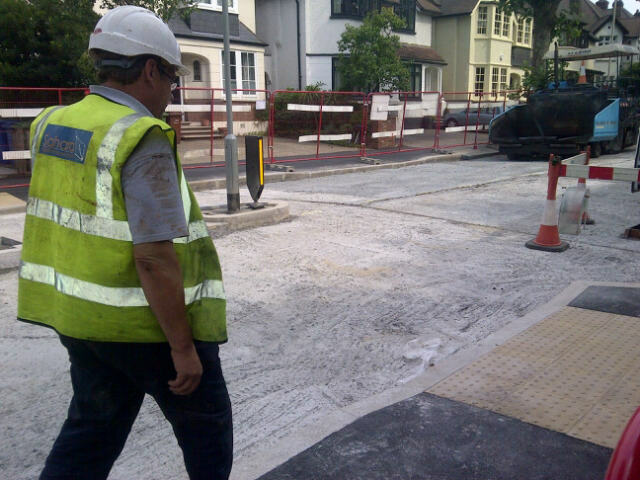 Report Monday 26th August (8pm) – HALF MOON LANE has reopened to vehicular traffic. Please display parking permits from Tuesday 27th August when parking enforcement officers will start working in the area. Initial warning notices will be issued where permits are not displayed until Monday 2 September, when full parking enforcements will resume. Thames Water are reporting via a letter to residents Half Moon Lane – 23 August letter to residents that they hope HML can be reopened to traffic next Tuesday 27th August. However they have found a new and unconnected piece of work that needs to be done on the mains further down HML, between Winterbrook and Burbage Road. This will result in temporary traffic lights for a further period of time. The next public meeting with Thames Water is at 6pm on 4th September 2013 at the Herne Hill Baptist Church. Current parking restrictions on Stradella Road, Winterbrook Road, Carver Road and Half Moon Lane (up to the junction with Burbage Road) remain suspended until the road reopens. Please display parking permits from Tuesday 27th August when parking enforcement officers will start working in the area. Initial warning notices will be issued where permits are not displayed until Monday 2 September, when full parking enforcements will resume. If you need more information about the road re-opening please contact TW as advised in the letter. Thames Water contractors are progressing with fixing Half Moon Lane. Tarmacking will start once the final main inspections are complete. 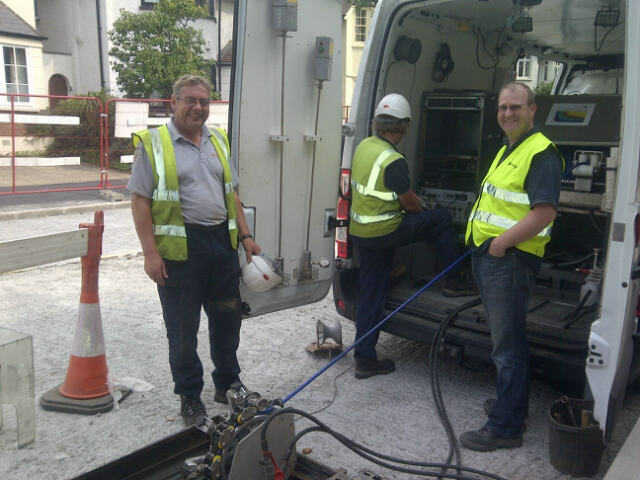 The Sahara team are doing a camera inspection of the water main from outside the Baptist Church up to 123 Half Moon. Thames Water estimate that the work on repairing the carriageway and pavements will take into early next week. We will post a notice when the road has reopened. Pizza Express – expecting to reopen soon http://www.pizzaexpress.com/visit-a-restaurant/restaurant/herne-hill. Nearest Pizza Express is in Dulwich Village. 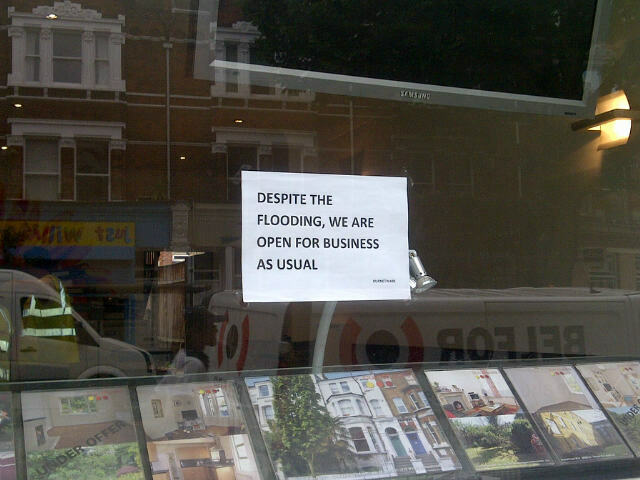 Mary Russell Newsagents: Owner Viral going through drying and insurance process. Tales on Moon Lane – hope to reopen soon, in the meantime please shop online at www.talesonmoonlane.co.uk/shop and visit their stall at the Herne Hill Sunday Market. Vehicle Service garages – business as usual. Other shops and restaurants are being cleared out for drying and refitting. Dehumidifiers whirring away. Flood relief teams and loss adjusters still on hand. Roads – Thames Water hope to reopen Half Moon Lane fully by early next week not by the 29th as announced in their letter of 20th August. TW are at the mercy of their suppliers but fortunately supplies of concrete have been secured and the team are working flat out to get the road open as soon as possible. Tarmacing and road marking should be completed by Monday 26th and TW will then reopen the road. Southwark have to finish work on a lamppost and a tree but this can be done later and shouldn’t affect the road re-opening. Carver Road and Winterbrook Road are open, but Stradella is not. 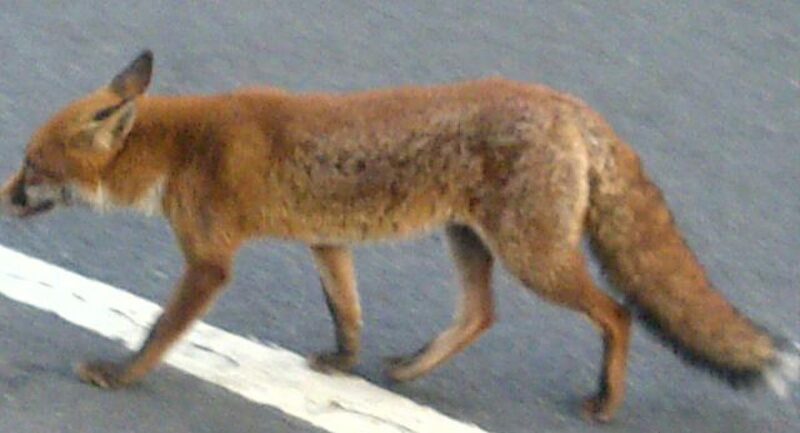 Carver Road is exceptionally busy with traffic travelling to and from the centre of Herne Hill. Parking – All parking restrictions on Stradella Road, Winterbrook Road, Carver Road and Half Moon Lane (up to the junction with Burbage Road) remain suspended until Herne Hill is reopened. However there are no advisory notices so drivers don’t know what is happening. Enforcement officers are leaving tickets which are then voided. Machines and the parking telephone number are still working. Parking tokens are being used up unnecessarily. Cllr Crookshank-Hilton is taking this up with Parking Enforcement. Forensics and inspections – no response as yet from Forensics on the pipe. Sonar and other inspections have been conducted along the main. No reports available as yet. Attendees agreed that Thames Water and Floodcall had done a great job in clearing up and getting the road fixed but the focus was now switching to recovery, loss adjustment and insurance, and more support is needed to help traders with insurance claims and interim payments. Support for traders – One trader said he still didn’t have power or a meter. Thames Water confirmed that they have all the trader contact details and will do a new round of checks to ensure everyone is powered up and has all the help they need. Insurance – Traders are uncertain about the best approach to claiming insurance – whether to go through Thames Water or make independent claims. There was concern that TW’s loss adjuster was not really independent. There were also worries about interim financial support (to pay staff for example). Colin Bryant said that Southwark Council are now in discussion with the Federation of Small Businesses to provide a source of independent advice and develop a forum for the traders. On its website the council says it will work directly with businesses who are suffering particular hardship as a result of the flooding, pending insurance settlements. There will be a further meeting and a “wash-up” session. Other parties such as Southwark, Loss Adjuster would be invited. See http://www.southwark.gov.uk/news/article/1316/herne_hill_flooding-7_august_update and www.thameswater.co.uk for further information. Extremely disappointing that Thames Water and/or the affected employers are not covering part-time staff wages, consigning a sizable part-time workforce to the dole queue. Surely with liability established on the part of Thames Water there should be the funds to support EVERYONE affected by their neglect? Part-time employees make up a significant proportion of the workforce in hospitality and retail and these part-time jobs pay for things like rent and food. For a company (Thames Water) that goes to extraordinary lengths to avoid paying UK corporation tax via its convoluted and indebted structure, expecting people who actually pay tax to carry the cost of making part time workers unemployed is a disgrace. Whatever happened to ‘doing the right thing’? 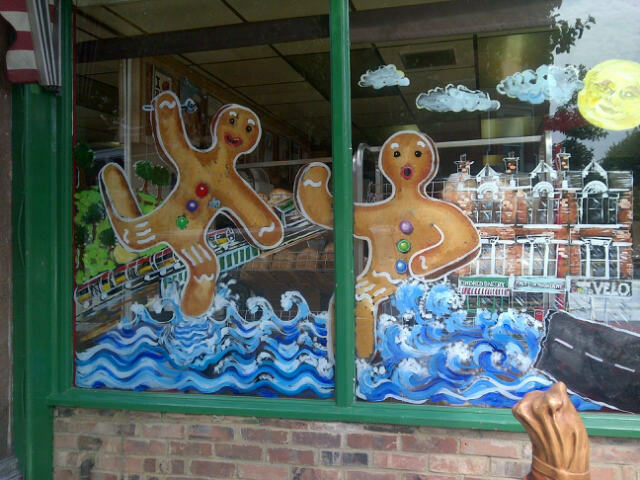 Previous Previous post: Herne Hill Flood – Two weeks on. Half Moon Lane re-opening delayed to 29th August. Latest on Traders. 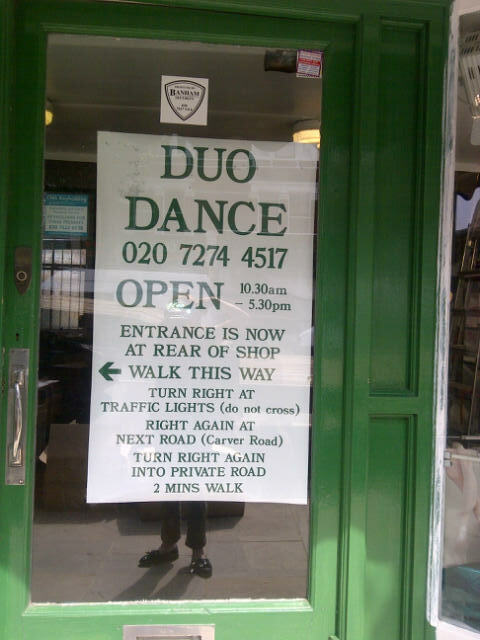 Next Next post: Herne Hill – Open for business – Come and enjoy the Sunday Market.